This is just the “deathmatch” part of the game. I didn’t/won’t plan the single player story mode. The players can be controlled by keys and/or gamepads. Gamepads have priority over keys, so if you have 5 gamepads connected you won’t need the keyboard at all. First player without a gamepad has the cursor keys + space, second player without a gamepad has W,A,S,D,CTRL keys. 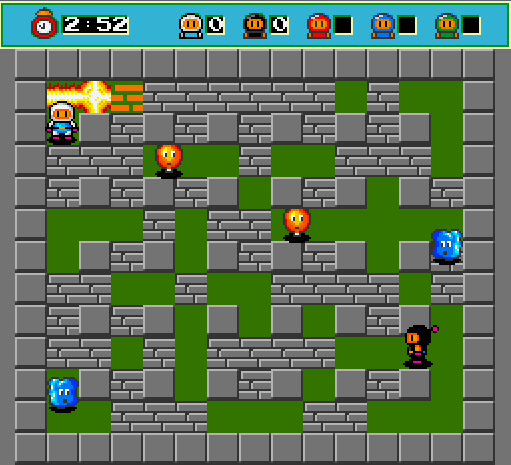 Maximum of two players can be controlled by keys. You can always interrupt the game with the ESC key. 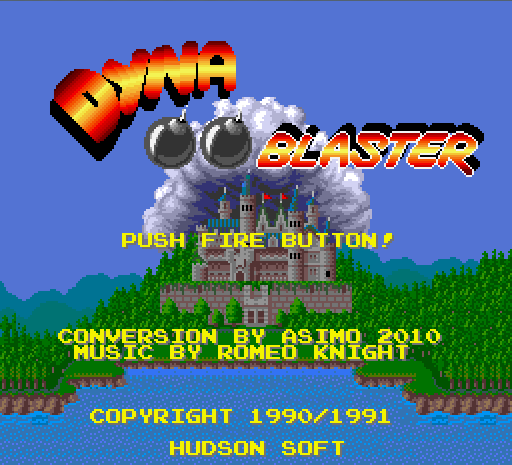 If you know Dyna Blaster you’ll be familiar with this version too. The game starts in windowed mode by default, but there is a –fullscreen cmdline option. It just downloads a small dxwebsetup.exe program which will install all the required components (which takes a few minutes). No computer restart will be required.